In general my thought with toys is that a child should really want something before getting it. I find no point in getting toys for a small baby who only wants the box they come in. 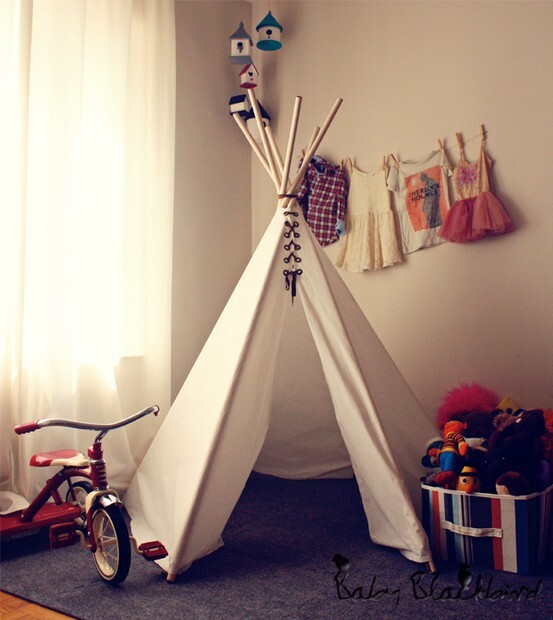 On the other hand, I really want to get Jude a teepee. 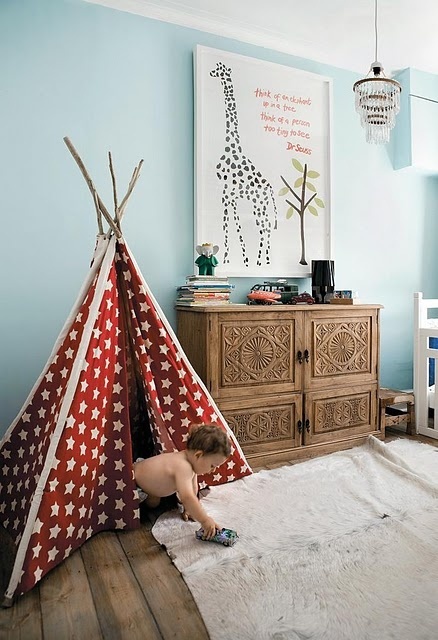 I wonder if I should wait until he is a bit older, or maybe until he wants something like that. 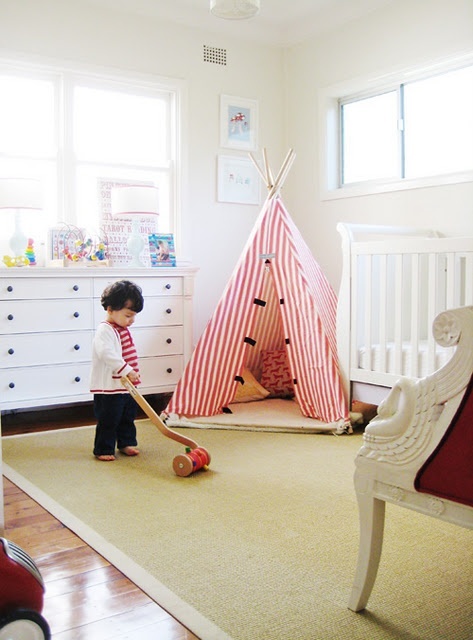 But he crawls all over and is constantly exploring, so I feel like he would really love a teepee. I wonder if it would be an easy thing to make myself? 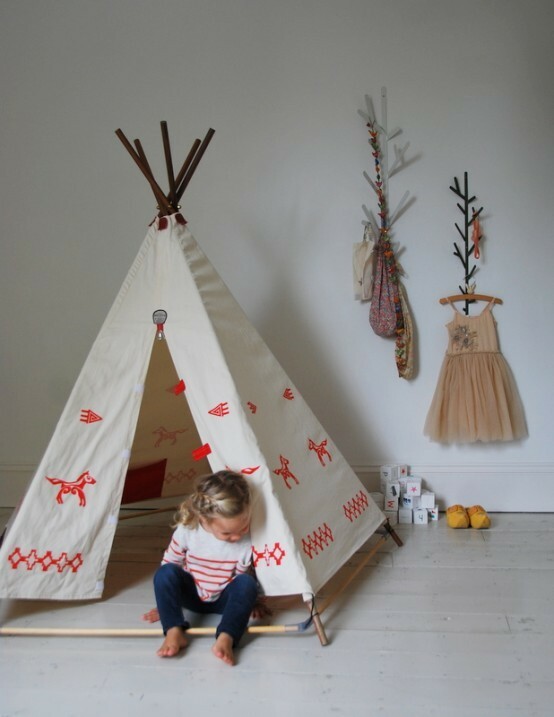 Do any of you have experience making teepees? 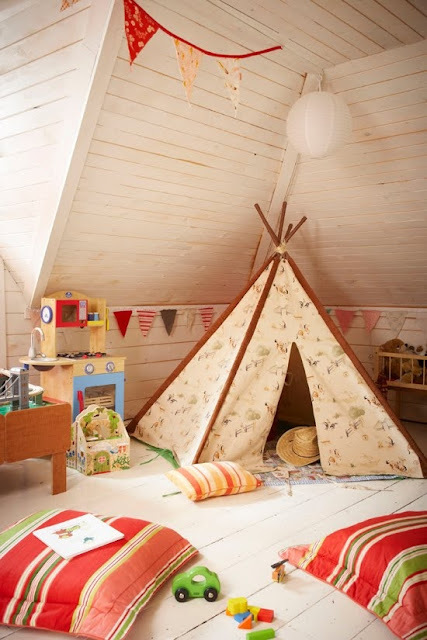 Here are some inspiration photos of cute teepees that would work. 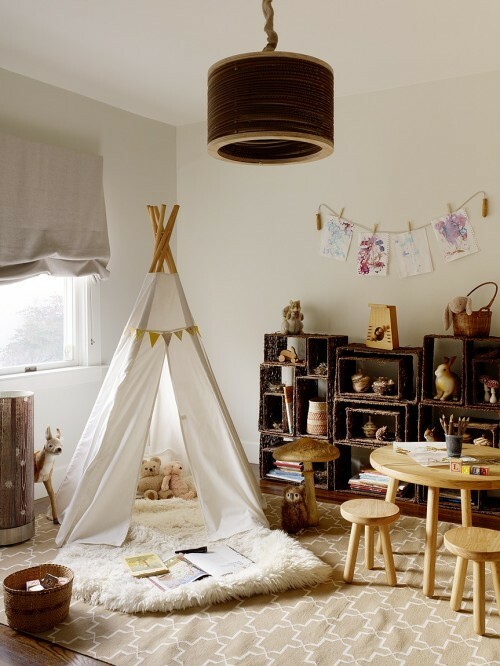 I can imagine it would be so easy to make! You probably have to create channels in a giant sheet and then push sticks through or something like that. It would be so fun deciding what to print onto it! I feel the same way, I have been thinking about it a lot. The most fun part would be making the print!